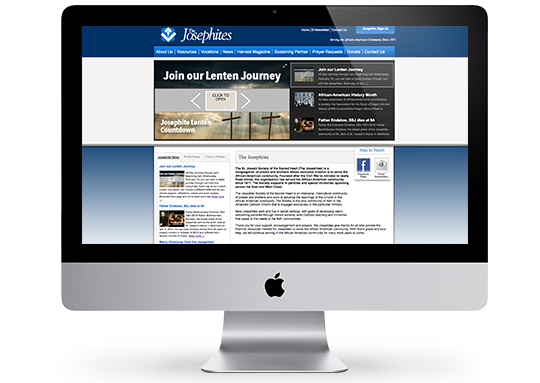 A growing and active society, The Josephites, desired a website that would allow them to show different categories for their various news on the homepage. Essential information also needed to be displayed for users. Solution: AMPs proposed the tab functionality to satisfy the different news the Josephites generate along with the homepage rotator to showcase desired topics.